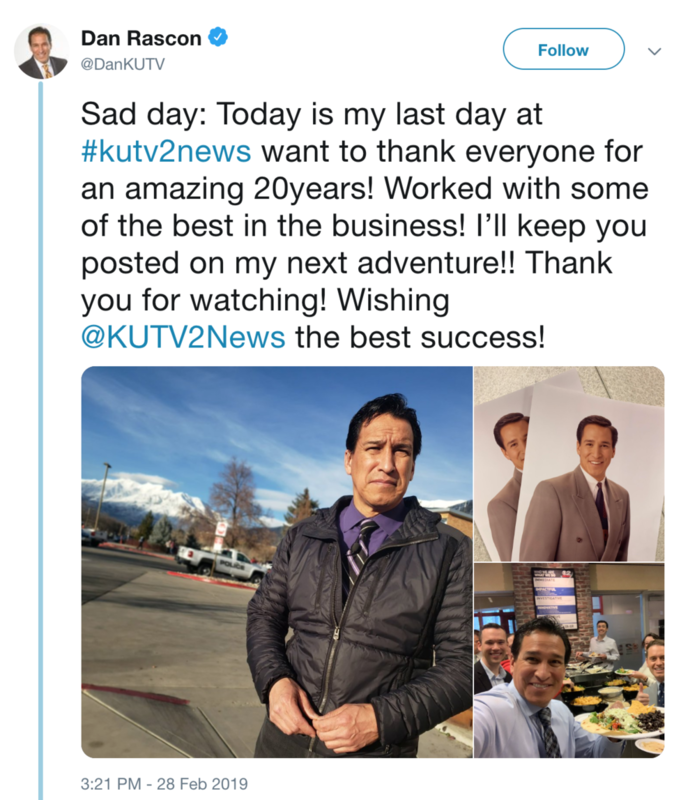 Longtime Salt Lake City, KUTV Reporter Dan Rascon worked his last day at the station yesterday. Rascon joined the Sinclair station (before it was Sinclair) in 1999. He let viewers know that yesterday was his last day and did not yet tip his hand as to what is next?